After spending the New Year’s in Cartagena, it was time to head over to the final stop of our party trail of Colombia. We heard San Andres Colombia was the holiday spot where most Colombians and other South American nationalities go to vacation. Still, we did not know what to expect. Most of the online research we did about San Andres Colombia turned up results that were mostly in Spanish. One thing that we did notice from our searches about San Andres was that it had some of the clearest and aqua blue waters of any of the vacation spots we had ever traveled to. During our stay on the island of San Andres Colombia, we had an absolutely amazing time. This island has it all. From dancing to reggaeton to eating amazing sea food and several tourist activities. Based on our time here we have compiled a list of 9 things to do while on the Island of San Andres, Colombia. San Andres Nightlife is Very Vibrant Colombia. This is the marque club in San Andres, It has two floors and great Latin music, we went here on Thursday, Friday and Saturday and each night was a lot of fun. 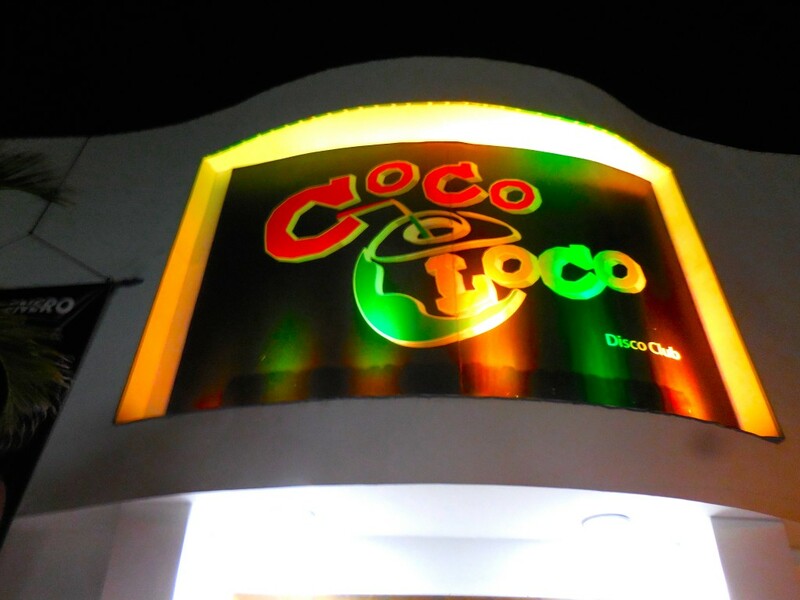 There are other clubs and discos on the Island, but this happens to be the one club where everyone goes to. Expect to find a lot of tourists at this club. 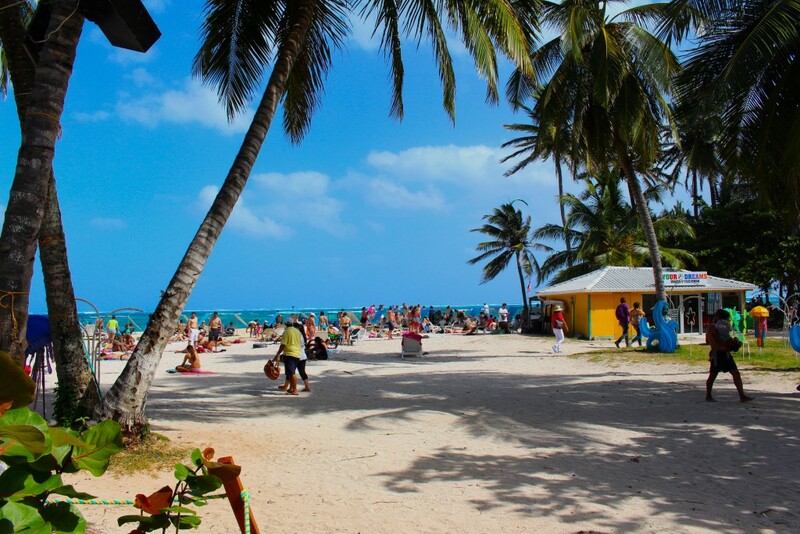 Tour the amazing island of San Andres Colombia in a golf cart. 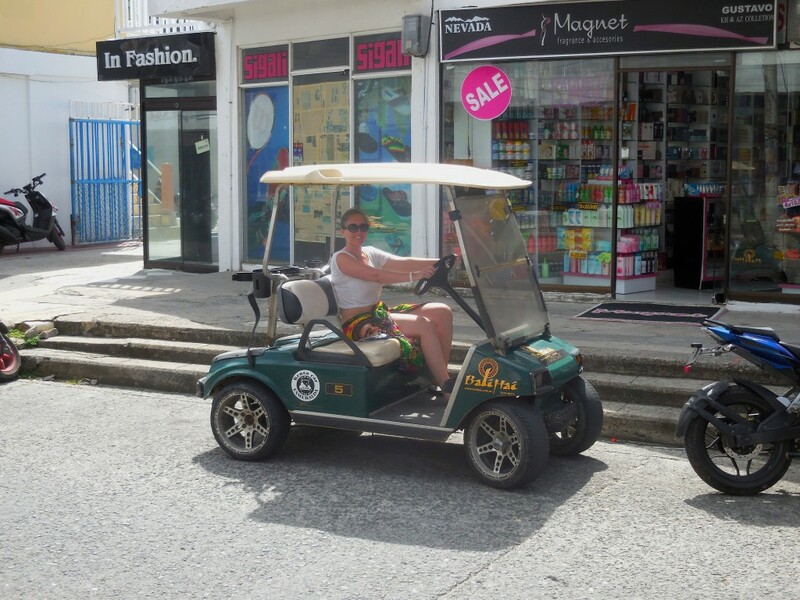 For about 180,000 Colombian Pesos, you can rent a golf cart for an self-guided tour of the amazing island of San Andres. There is no better way to connect with the island, enjoy some cool scenery and take in an awesome whiff of some amazing sea breeze. Touring the island in a car, even though that is a rental option is just not the same. Hoyo Soplador is a geyser that splashes water into the air as a result of water crashing into the ocean’s banks. You will definitely need a bathing suit to get through the thrill of this popular tourist attraction. Hoyo Soplador can be a bit tricky to find due to incorrect road signs on the island. Make sure you ask you hostel or hotel concierge and they will set you in the right direction. San Andres Colombia’s clear waters make it ideal for snorkeling or deep sea diving. San Andres has some of the clearest waters we have seen in a while and we have seen some clear waters. There is also the added bonus that the sea life seem well adapted to having people around. Do take note, some of the diving and snorkeling spots in San Andres have strong currents so make sure you are a good swimmer before taking on such endeavors. Some of the best spots for diving and snorkeling are; Bajo Bonito, Punta Evans, El Padi, and Barco Hundido. 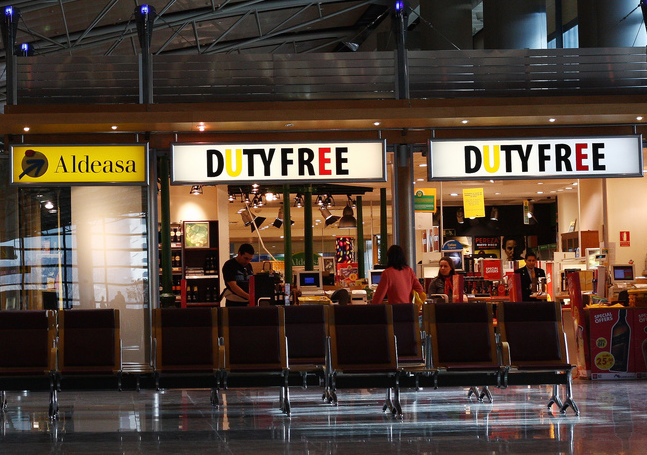 San Andres Colombia has a large duty free shop for all your needs. There is a rather large duty free shop on the island of San Andres, there is no other place on the island to stock up on party supplies. If you are staying longer than just a couple of days, this store will definitely be a central stopping point for all your activities. 6. 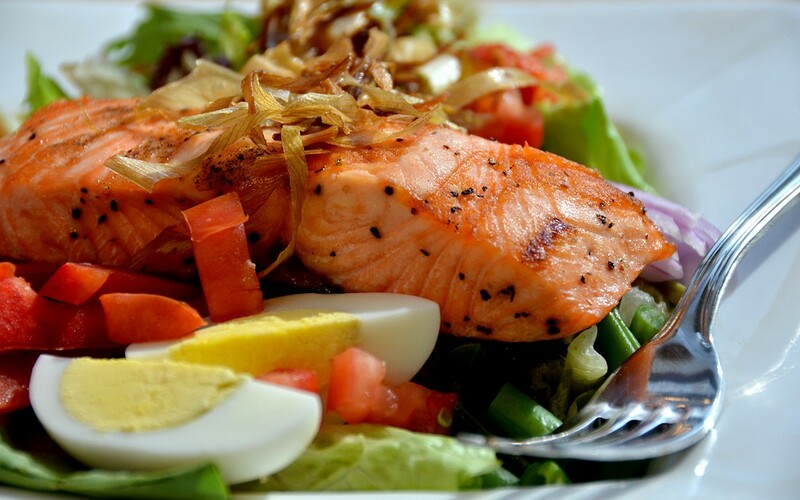 Eat Some Sea Food. The island of San Andres Colombia, because of it’s strategic location has a wide array of amazing sea food restaurants. Most of the restaurants on the island could do a tad better with their customer service but the they make up for it with the tasty meals they serve. Take a boat ride to islands adjoining San Andres Colombia. So while San Andres happens to be the main attraction, there are also lots of other islands that are a bit more secluded but suited to tourists. Examples are Haynes Cay, Johnny Cay regional park, and El Acuario. 8. Stay in one of the All-inclusive hotels. 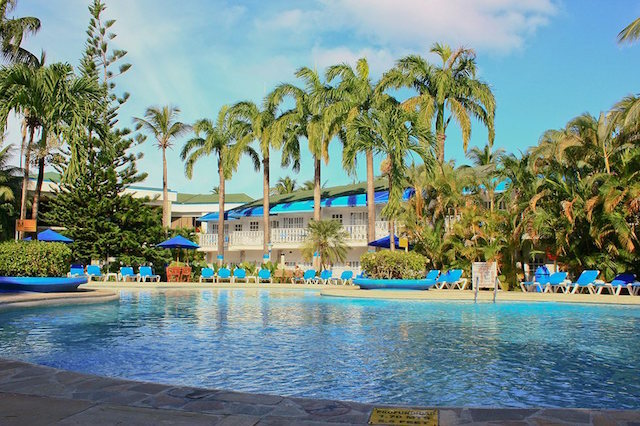 If you don’t want to be bothered with finding all the hot spots and interesting things to do on the Island of San Andres, there are several hotels on the Islands that have all-inclusive packages. They are also a fun and interesting way to meet other travelers. 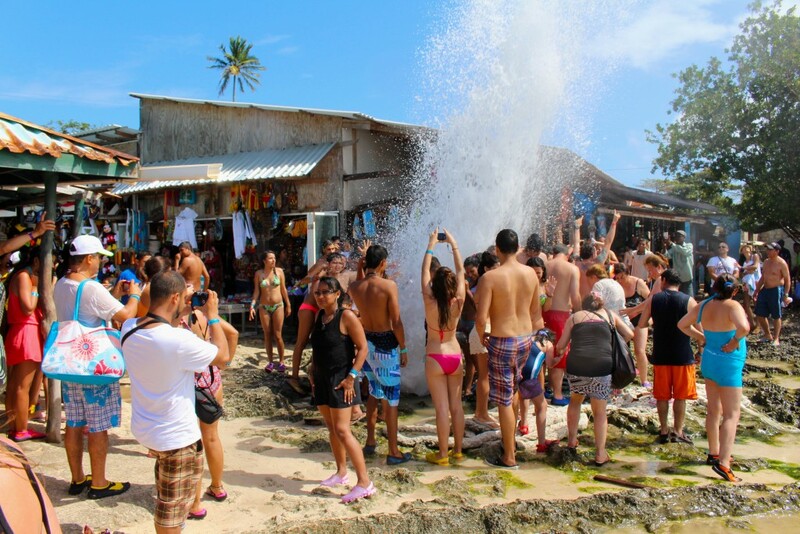 San Andres Colombia has tons of water sports a traveler can get involved in. 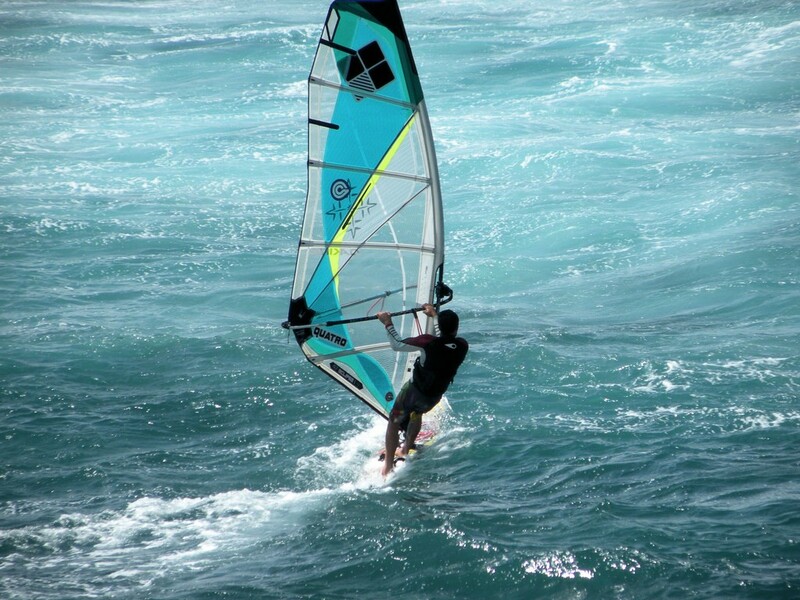 There are several options of watersports activities one can get involved in while on the Island of San Andres. 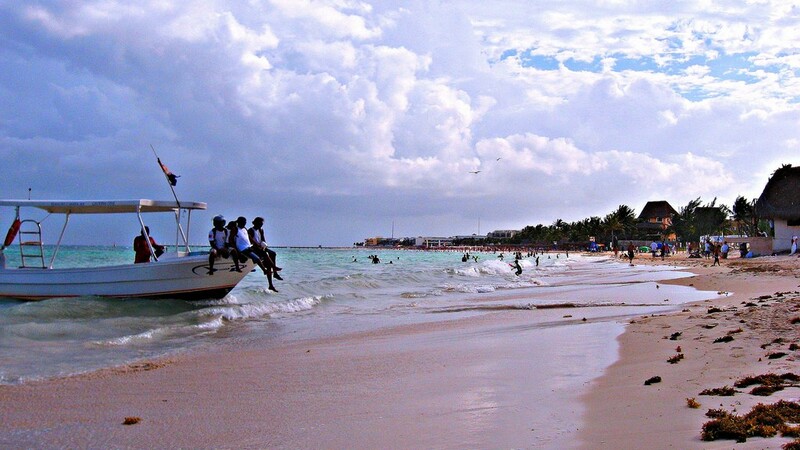 Wind-surfing, jet-skiing, banana boats, are just some examples of activities offered on the island. San Andres was our final stop in Colombia and we must say it was an amazing experience. We absolutely encourage everyone to visit Colombia. It is a great country on the rise. In our next blog post, we head to our hometown of Los Angeles. Stay tuned to the press.